Merrill Warkentin is the James J. Rouse Endowed Professor of Information Systems (IS) in the College of Business at Mississippi State University. He has published over 300 manuscripts, including 90 peer-reviewed articles in scientific journals, plus seven books. His work has been cited more than 14,000 times and his H-index is 34, according to Google Scholar in 2019. He is ranked #15 in the world in the AIS Senior Scholars Basket of six leading MIS journals published in 2016-2018. He is among the 140 most cited IS scholars of all time globally (by h-index). His research, on the impacts of organizational, contextual, and dispositional factors on individual user behaviors in the context of information security and privacy, addresses security policy compliance/violation and social media use, as well as electronic collaboration systems and eCommerce/eGovernment, has appeared in such journals as MIS Quarterly, Journal of MIS, Journal of the AIS, European Journal of Information Systems, Information Systems Journal, Decision Sciences, Information & Management, Decision Support Systems, Journal of Information Systems, Communications of the ACM, Communications of the AIS, The DATABASE for Advances in Information Systems, Computers & Security, and others. Dr. Warkentin’s leadership at scholarly journals includes past service as Senior Editor at MIS Quarterly and the AIS Transactions on Replication Research, and as the Eminent Area Editor for Decision Sciences. He is currently the Editor-in-Chief of the Journal of Intellectual Capital, a member of the Editorial Review Board (and Guest Senior Editor) for the Journal of the AIS and Information and Computer Security, an Associate Editor for Information & Management and the Journal of Information Systems Security, and a member of the Editorial Advisory Board for the Journal of Knowledge Management and the Journal of Computer Information Systems. He has previously served as Associate Editor at MIS Quarterly, Information Systems Research, Decision Sciences, European Journal of Information Systems, and others. He was Program Co-Chair for the Americas Conference on Information Systems (AMCIS2016, San Diego) and has held leadership positions for numerous international IS conferences, including Track Chair for Security & Privacy at AMCIS2015 (Puerto Rico), ICIS2013 (Milan), ECIS2012 (Barcelona), and DSI2008; Program Chair for WISE2007, WISP2009, and IFIP 2009; AE (Security) at ICIS four times; Track Chair at DSI three times; and Program Committee member of over two dozen international conferences (ICIS, IFIP, WISP, WEB, WITS, ICEIS, ASIA, etc.). He served three years as Vice President for Publications of Decision Sciences Institute (DSI), and for three years on the AMCIS Executive Committee. He has Guest Edited several journal special issues, including two issues of EJIS. 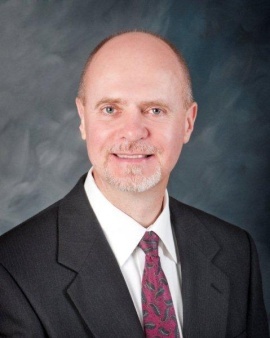 Dr. Warkentin has served as a consultant to numerous companies and organizations, and has been a featured speaker at over 300 industry association meetings, executive development seminars, and academic conferences. He has conducted cybersecurity training for NATO and others, has been a Lecturer at the Army Logistics Management College, and was named a “National Distinguished Lecturer” by the Association for Computing Machinery (ACM). He has been a visiting professor or invited speaker at over 25 universities around the world, including Georgia State, Indiana, LSU, Florida State, Clemson, Kennesaw State, USF, Copenhagen Business School, McMaster, Fudan, Oulu, Jyväskylä, Zhejiang, Cape Town, and others. He has earned various recognitions for his teaching at every level from intro Freshman courses to doctoral research seminars – his primary focus has been teaching Systems Analysis classes and Research Design seminars. His research has been funded by the UN, NATO, NSF, IBM, NSA, DoD, US Navy, Homeland Security, and others. He was previously on the faculty at George Mason University and held the Reisman Research Professorship at Northeastern University in Boston, where he was also the Director of MIS and eCommerce programs at both the graduate and undergraduate levels. Professor Warkentin’s Ph.D. in MIS is from the University of Nebraska-Lincoln. He can be reached at m.warkentin@msstate.edu and www.MISProfessor.us. He can be reached at m.warkentin@msstate.edu and www.MISProfessor.us.